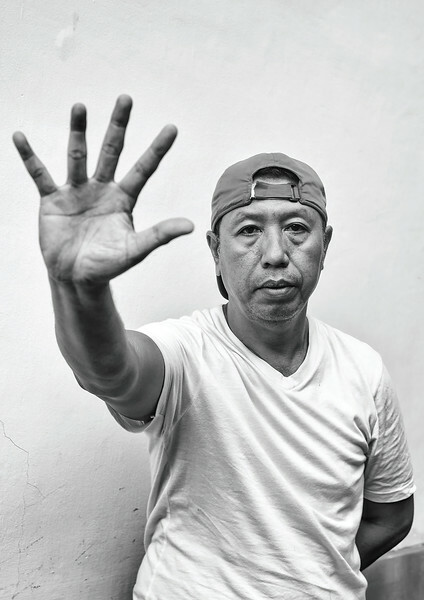 BMO is the founder of Malu Dong Community (MDC); an activist, non-profit organization that aims to tackle Bali’s waste issues head on. Run solely on volunteers (183 to date) and the small amount of money that BMO makes from his uniform business, Malu Dong work tirelessly to create long lasting change through their relentless campaigning and successful education programme. So ten years ago, BMO began to work on cleaning up one small area of Denpasar. BMO found that providing more bins and opportunities for waste recycling was not enough. People were still dumping their trash on the ground or even burying it. He realised that he first needed to work on changing people’s attitude to throwing trash on the ground. BMO started bringing his Malu Dong programme into local schools, believing that educating the children would encourage a shift in attitudes towards waste and consumption providing the change much needed in Bali. Click here to read the Indonesian translation.